seconds to make in the morning. Coming from someone who loves sleeping in a made bed, but hates to make it, the Smart Bedding System just might solve this problem once and for all. Entrepreneurs of the Smart Bedding Business Marshall Haas & Jon Wheatley are coming to the Shark Tank in episode 517 with what looks like the perfect solution that always keeps your bed made, even when you're sleeping. Can you imagine going to sleep and waking up with the sheets still in place and not rolled up at the bottom of the bed? By using this Snap-on technology that keeps the top sheet secured to the duvet cover, you can now make your bed in a matter of a few seconds. Smart Bedding entrepreneur Marshall Haas was living in San Francisco, and Jon Wheatley was in St. Louis when they joined forces to bring the Smart Bedding System to market. To raise the needed start-up capital, and more importantly show proof of concept the Smart Bedding would sell, they chose to start a Kickstarter project this past summer. They set a realistic $10 thousand dollar goal needed to start manufacturing the Smart Bedding. This was easily reached when the campaign ended with over $57,000.00 in orders from 442 backers. After successfully receiving over $57k to bring Smart Bedding to market, Haas and Wheatley chose a manufacturer in Asia to start making Smart Bedding products on a large scale. A large percentage of the budget was also required to start the process, along with a lot of faith this oversees manufacture would keep his word and deliver on time before Christmas. Promises were made the backers would indeed get their Smart Bedding products before Christmas just as the Manufacture had agreed upon. What could possibly go wrong placing the very first large order from someone half way around the World? We'll guess what? Apparently, the order was fulfilled, but the finished product was not made as specified using sub-par materials. The decision was made to delay shipping the Smart Bedding to the Kickstarter backers until they had a more quality product to deliver. There was also another small little detail left out of the campaign which was shipping charges. Apparently, the shipping charges to receive your new Smart Bedding was not specified which shocked lots of backers when they were billed these additional charges. I've been to hundreds of crowdfunding campaign pages, but this is the first time I have heard of additional charges being tacked on to a pledge, I didn't even know that was possible. Unfortunately according to the Smart Bedding website, the product has still not shipped as of this writing, but is scheduled to do so hopefully sometime later this month. As much as I like this never make my bed again concept, I'm a little confused with some of the recent business decisions made thus far. The greatest thing about using a crowdfunding campaign is having people show their support and help financially back your dream. To me, these backers would be on my highest level of customer service and I would go way out of my way making sure they are updated every step of the way. The last comment/update on the Kickstarter project written by Marshal and Jon was January 3, 2014, which seems to be a little outdated. 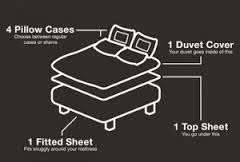 Even though the Smart Bedding Business seems to of run into a few hiccups getting to market, the parent company NeedWant Inc, also owned by Jon Wheatley and Marshal Haas, is moving full steam ahead with a few other inventions they are working on. Notably, a new product called the Mod Note Books that looks real promising and apparently is where most of their attention is focused on right now according to the ModNoteBooks Twitter pics. This Mod Note Book does look like a really cool new invention that could become very successful in the near future, but didn't anyone tell them they're going to be on the Shark Tank Show next Friday night featuring another product? I don't know, maybe it's just me, but if I was about to receive an estimated $4 - $5 million dollars' worth of publicity in a single night, I might think about putting other projects on hold and get ready for the stampede of new customers coming whether their ready or not. EDIT: Things were not adding up that this business was ready for the Shark Tank, and now we know why, because they are not. Check out the "Real Shark Tank Contestants ZipIt Bedding, Here!